It doesn’t matter what the genre is, or whether it’s a book, or an article, there are always challenges, and authors come in a wide variety with a wider variety of motivations. Basic motivations range across genre. A few authors begin to write with the objective of becoming very rich and these authors rarely become best sellers. Many authors write because they want to assemble ideas and put them down on paper. Some have such a passion about something that they want to share it with everyone. Most authors are natural storytellers. 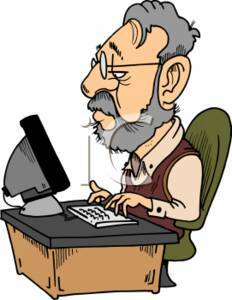 A great many authors develop writing as a second career later in life, but age is neither a barrier, nor a criteria. Age does have some advantages, not least that each year brings more experiences and, usually, a deeper understanding of many things. It can also provide the time required to research and write, with earlier careers having provided the funds to allow time to be used without having to provide a financial return. Those are only a few of the motives that drive the author in what is a remarkably lonely world that is not shared until the book is published. There are a great many views about what attributes an author needs. Those independent authors face the greatest freedom and the greatest responsibility. Those authors who find a literary agent and a publisher have to accept some level of direction but, in return for that, there will be additional resources available to turn the book into a polished electronic file or neatly laid out copy for printing and binding. The editing and production skills of a publisher can convert a very ordinary book into a thing of beauty, but it may be rather different from how the author originally visualized. Once produced, the publisher takes the responsibility for marketing the book and managing the storage and distribution of copies. Marketing can be the most important part of the process. Some very ordinary books have achieved considerable sales volume and revenue for all involved. By the same token there are many excellent books that either sell in disappointing numbers, or never make it to market, including books that are produced through a traditional publisher, who should know how to bring the book to the attention of the potential readership. 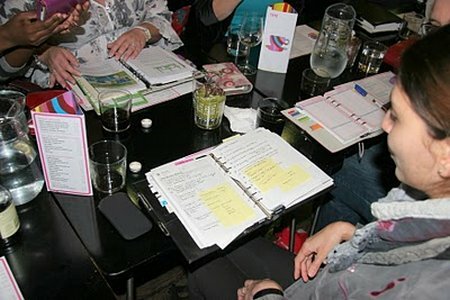 For those writing serious non-fiction the common challenge is in fitting in all of the research to check the many potential sources of information, from raw data, to published views of the subject. That can be incredibly challenging because it is not unusual to find that an accepted fact is false, the product of a succession of careless authors repeating the same error. The error can also come from the original human source. In researching one topic from World War Two, there were two established, but contradictory, ‘facts’. The original sources of those ‘facts’ were still both alive and had completely different recollections of one event. One of the two had made a very good dinner party living out of recounting his version. In fairness to both sources, they were recalling an event, which was part of a series of activities, at a time when half the German air force seemed to be singling their small boat out from a sea full of small boats, and a few larger vessels. At one point a 500lb bomb exploded within a metre of their transom. Remembering fine detail sixty years later is a difficult task, made harder by each person seeing the event from different perspectives. After some further research, it turned out that neither veteran was correct, but each had accurately recalled some parts of the story close to the final verified version. When an author is working to a timetable, imposed probably by a publisher, it can be difficult to check one more time, there is always some luck in uncovering new detail, or proof, and the result can be a document that has some flaws in it. It is all too easy for later authors to rely on something that is not completely accurate. When the subject is relatively recent, there will be service records, log books, war diaries, maintenance records, blue prints, etc., and some splendid old gentlemen who were there at the time being recounted. There will also probably be a large quantity of photographs, drawings and movie film in which the subject has been captured. The major challenge is in fitting all of the research of all of the sources into the available time. For those writing fiction, life is more flexible, but no less demanding. Research still has to be done, but there is artistic license to be flexible with some of the historic records that have inspired the story line. The writer of fiction has to paint pictures in words to draw the reader into the story and to provide the impression of authenticity. However, the story line may demand some mangling of accepted historic fact, and the author may be exploring some alternative ideas, of what happened in reality, that may be valid alternative history. Even in recent history, the official accepted line has been dictated by the winner. There is always temptation, in recording history as non-fiction, to bend events to paint the victor in the best possible light and there is rarely any serious attempt to obtain the loser’s view as check and balance. Of course there is also the possibility that the loser, who could question an account, is no longer alive. It is always interesting to listen to the account of a battle from a veteran, such as the late Baron von Luck, who was on the losing side, back-to-back with an account of the same action from a British tank commander. The further back we travel through history the greater the danger that ‘history’ is really propaganda and a probability that fiction is propaganda. In the Sixteenth Century, fiction in plays and books was frequently a propaganda piece to flatter a sovereign, or a patron of lower rank, sometimes the sovereign also being the patron. One of the interesting aspects of historical novels is that they can be more accurate history that the accepted history. That may be a result of the author applying logical thought to research, when the official serious history was always biased deliberately. On other occasions the fictional author just took a guess and then applied artistic license, to create a story that a contemporary reader would find more believable and entertaining. Before the Sixteenth Century, historic accounts of events may require more than one pinch of salt. The low levels of literacy inevitably meant that the recorders of history were part of the Establishment, frequently priests, or people sponsored by the current ruler. In many cases, the histories were being recorded some time after the event. Even the Greeks and Romans suffered from a narrow pool of literate individuals who were often motivated to write a history to please a patron. The result is that an author attempting an historical novel has very little source material and what is available may be highly suspect. When a Saxon historian writes about an army of 100,000 he really means that it was a big number. In realty, the 100,000-strong army might have been 100-strong because that was a big army in an age when an army was usually any group of warriors that was at least 35-strong, differentiating with a smaller number who were an armed gang, probably of bandits or coastal raiders. In nautical fiction, the challenges of finding a real solid historical base can be even more difficult. 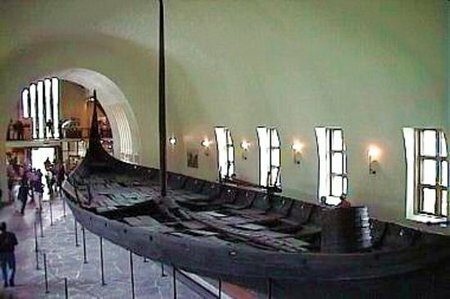 Even as recently as the Viking Age, only a very small number of ships have been located. Even fewer are complete. As the survivors are often funeral ships it is very difficult to known which were built for that single purpose and which were used as warships, or merchant men, before being brought ashore to form a key part of a pagan burial. In some cases, the ship has survived only as an impression in the soil it was laid up in, forming only a small percentage of the total ship. 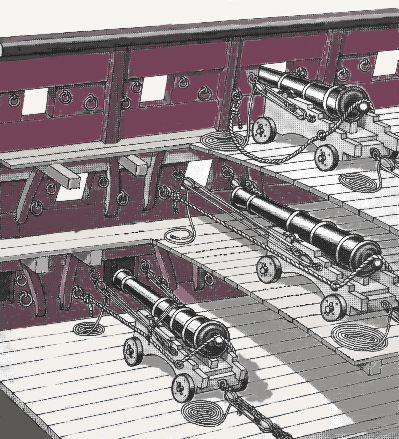 In other cases, even further back into history, enough of the original ship has survived, to enable a recreation to be carried out, where some imagination may be required to fill in the gaps. From the Saxon and Viking periods there are surviving poems, which were sagas told to hearth friends seated around the hearth in the long nights of Northern winter. They are a mixture of historic accounts and folk tales that include fantasy. There are also family sagas that have passed down through Nordic families. Some of these were intended as entertainment, but most were passed down to aid future generations in the same way the Machiavelli wrote ‘The Prince’ to guide a future ruler, a leadership manual with the past providing the examples. As each generation retold the family saga, some distortions probably contaminated the saga, but the intended purpose of education is likely to have kept the story relatively pure and honest. Viking family sagas are probably reasonably accurate because accepted history has changed to more closely resemble what Icelanders and Galwegians already knew. One striking fact is that family sagas placed voyages to North and Central America five hundred years before the Italians and Spanish made the trans-Atlantic crossing. Now that archaeologists have found the remains of Viking settlements in New England the sagas should be looking very smug. As fresh thought is applied to artefacts from earlier in nautical history, the acceptance of much greater use of boats and ships is growing. The Bronze Age produced boats that were clearly used for river and coastal voyages, but the location of some remains suggests that much longer voyages were undertaken, where the crew would have been out of sight of land of significant periods. What is still not understood is how those early seamen navigated. 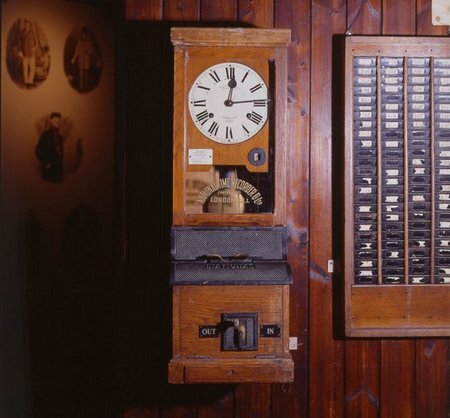 The Greeks and Romans may both have built mechanical computers but, as only one machine has been recovered from a wreck, there is no way of knowing how common the use of computers may have been as navigational aids. The sun wheel is understood and may have been in use for thousands of years, but the Viking sun stone is a mystery, even in family sagas, because the Vikings obviously knew what it was and how it could be used, making only oblique references in their aural histories. That they made no attempt to describe the sun stone in detail suggests it was so common that no one considered description necessary, in the same way that ancient Syrians never bothered to explain the electric storage battery or what use they made of it. These tantalising fragments of history can drive historians mad, but they provide some useful elements in a nautical fiction, where the author has scope for imagination. The writer of fiction has other greater challenges, shared across the general historical fiction genre. There are many outstanding tales of pirates and admirals, battle fleets and related adventures, where the author only penned a few books, or where only one book is widely remembered. There are many reasons why these authors never produced a long series of very popular stories, the most common being death, or sickness, or injury. Those who have entertained generations with an outstanding series of tales always face the challenge of how to continue with a new novel in the series. Some times they get bored with the character and kill him or her off, only to be forced by a loyal readership to find some imaginative way of bringing the hero back to life for more books in the series. The challenge can be greatest when basing a set of characters and adventures in a specific and well-documented period of history. The obvious example is naval fiction based on the times of Nelson, where very few authors manage to write a credible series of novels through to the Battle of Trafalgar and then continue. The challenge is that the Royal Navy almost ceases to exist after 1805 because it had won the wars with Napoleonic France. Trafalgar was such an overwhelming event with the tragic loss of a young and brilliant commander, that the collective focus switches off. The reality was very different because life continued after 1805. The French still sent out squadrons of warships and actions at sea continued, to the final defeat and capture of Napoleon in 1815. There was also the War of 1812 with the young United States, pirates still sailed the seas, as they continue to do today, and a whole new series of adventures continued to occupy the Royal Navy. Very little by proportion has been written in fiction or non-fiction of the Royal Navy between 1805 and 1914. There lies a rich ground for authors and historians. 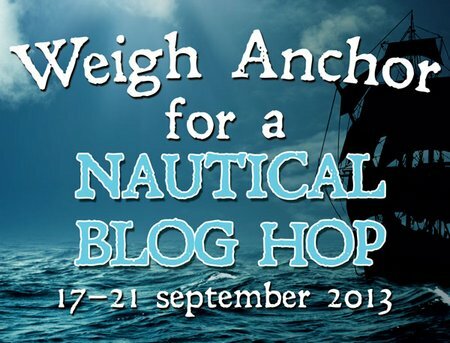 One of the very few exceptions of authors travelling credibly through and beyond 1805 is a member of the Nautical Blog Hop crew, Julian Stockwin. For reviewers the key book looked at the dash for Empire and has been followed by two more stories in the Kydd/Renzi tales, the latest book just emerging from the tender mercies of the printers. 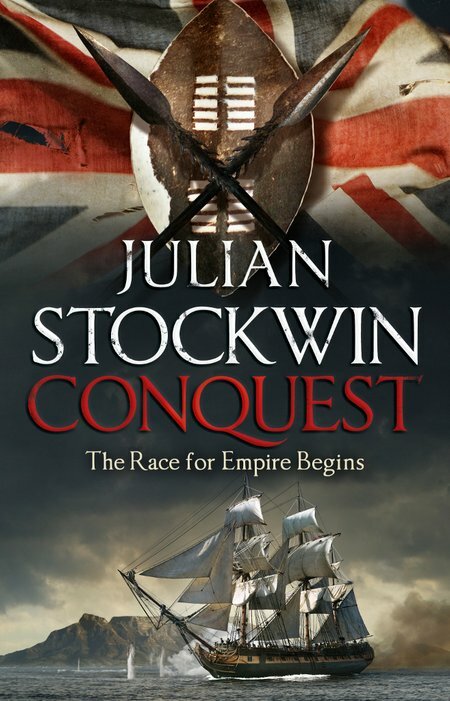 DESCRIPTION: Stockwin has achieved another first with this book, and successfully made the jump from the traditions of fictional stories set in the Revolutionary and Napoleonic Wars. To appreciate the scale of the jump, the reader has to start with the first Stockwin story. It also creates a challenge for a reviewer because, to do full justice to this latest story, the context of this new episode is important to the tale itself and the books that are promised for the future. In the first book in the series, Stockwin drew in part from his own experiences in the Royal Navy in migrating from the seaman’s mess to the wardroom, and in part from careful research into the Navy of Nelson and the press gang. He added, into that, creation of Thomas Kydd, a very original character of Renzi, a young aristocrat who had turned his back on his family to serve as a volunteer common seaman. That broke the tradition, of starting a sailing navy story by creating the hero of the stories as a young midshipman, and it worked very well. It also told a story that reflected the long traditions in the Royal Navy of raising outstanding sailors to the wardroom and of recognizing that, in the real Navy, sailors came from many countries outside the British Isles. Forester’s “Hornblower” set the original traditions for novelists with the hero migrating rapidly from midshipman to Commodore or Admiral. By starting his hero on the lower deck, Stockwin had greater freedom in charting a credible, but original, progress for Kydd and, by creating a brother in arms in Renzi, to follow a separate but interlocking career, a further freedom was introduced. Since the first story in the series, the two leading characters have matured and new layers of their personalities have been exposed. Up to the Battle of Trafalgar, the stories nicely dovetailed together into an unfolding narrative. Trafalgar then presented the same challenge that it has presented to every author developing a fictional story line based on the Revolutionary and Napoleonic Wars. Trafalgar presents many challenges to writers because it is such a strong and iconic point in British Naval history. Nelson was a character larger than life. He may have had his flaws as a human being, but as a naval commander he was unique and he had the historic good fortune to die in the moment of his greatest triumph, appropriately on a ship called Victory. That created a myth and legend to long survive him. It is easy to believe that he will live forever amongst the handful of great military leaders through millennia. However, his place in history means that every year new non-fiction books emerge that expose new aspects of Nelson and the story of Trafalgar, to join a huge library of earlier books from an army of historians. The battle, the commander, the captains and the battleships have been picked over in fine detail. Collectors have developed and maintained the Nelsonian legend by devoting their lives to collecting artefacts. One Norfolk collector built an agricultural engineering business, but devoted much of his free time to collecting Nelsonian memorabilia that on his death formed an important part of a major new museum at Great Yarmouth, a port with strong connections to Nelson and in the county of his birth, the new museum appropriately being housed in a former Royal Navy hospital of the Napoleonic Wars. That makes it difficult to infiltrate fictional characters that are credible. Stockwin was aided by the fact that his heroes sailed on a minor warship that could be included in the British Fleet credibly. It also avoided one of the traps of building the series up to Trafalgar and then having nowhere else to go. Trafalgar did not end the war at sea, but it made it very difficult for the French to deploy a significant fleet and it marked the beginning of the end for Napoleon. The war may have continued for a further decade until the final battle was fought at Waterloo, but Trafalgar made the end inevitable and created the dominance of the seas by the Royal Navy for a Century that created the greatest Empire yet to emerge, providing a market for the products of the Industrial Revolution and the raw materials to feed that revolution. The huge importance of the Royal Navy is largely unrecorded after Trafalgar until the Twentieth Century wars against German expansion. Stockwin is now starting to redress the situation in his latest Kydd story. The taking of Cape Town was an immensely important, but largely forgotten, achievement for British Arms. It secured the shipping routes to Australia, the Pacific and the China Sea. It also provided the security to seize French colonies and to take over the expansion that might otherwise have gone to Spain, Portugal and the Netherlands. Historians may argue about the percentages, but the British Empire, and its former American colonies, at the height, represented half the population of the world, more than half of the landmass, and made English the international language that is still expanding as the language of commerce. “Conquest sets a high bar for the stories yet to come. As with previous Kydd tales, this new book includes a technology item and the reader will learn the part ‘camels’ can play in raiding an enemy camp. The storm at sea will also introduce many readers to a type of storm peculiar to the Indian Ocean. There are the important highs and lows as the story unfolds and it seems that Renzi may at last be closing in on marriage and a new career as a novelist. Existing Kydd enthusiasts will not be disappointed with this latest episode and the readership will expand further as it has at each stage since the first story some ten years ago. For new readers, the good news is that they can still acquire all the earlier tales and there are more stories to come. Stockwin originally expected to write no more than ten books but now realizes that he may have achieved that point and still be only half way through the saga.